Remember the Titans, neglect the saints: For some, gridiron gods compete with God for time and attention on Sunday. In my Associated Press days, I wrote about a church that developed a “Holy Huddle” program to combat people leaving services early to watch the Dallas Cowboys. 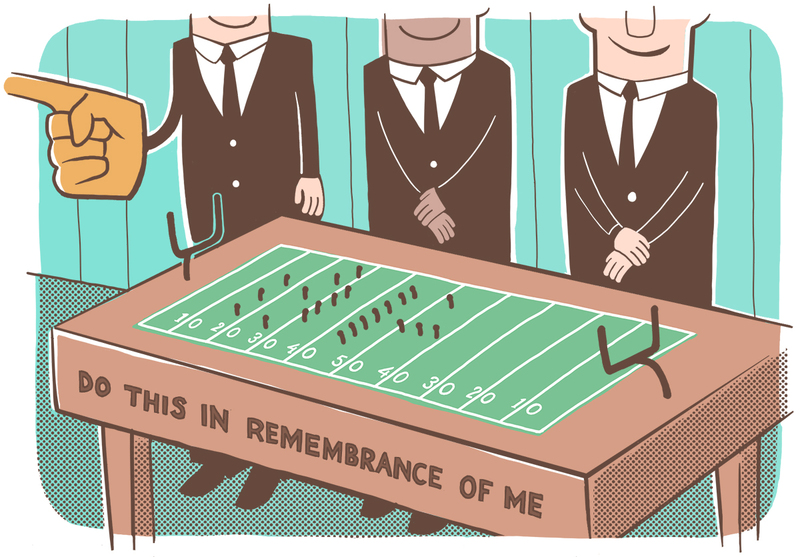 More recently, a preacher I know in a different NFL city complained about members slipping out in the middle of a sermon to pay homage to the football gods. On any given weekend, anywhere between 63 million and 118 million Americans go to church, according to the Hartford Institute for Religion Research. At the same time, that many or more tune into professional football, which for 30 years has reigned supreme among American sports, as noted by Sports Illustrated. I asked ministers about their experiences with Christians who find it easier to remember the Titans than to gather with the saints (no, not those Saints). “Someone must have emailed you to let you know that me and three buddies ‘slipped out’ during the invitation song this past Sunday night to head to the Packers game in the Superdome!” said Eric Dishongh, minister for the Hickory Knoll Church of Christ in Harahan, La., and a New Orleans Saints season ticket holder. This column appears in the online edition of The Christian Chronicle.